That is not how speakers of one party typically talk about one of their chief adversaries in the other, even in times of grief. But Ms. Slaughter, whose funeral is set for Friday in Rochester, had earned it. Tensions can run high at meetings of the Rules Committee, one of the original committees of the House and the forum where the majority party gets to exercise its muscle in setting the parameters of floor debate. With its 9-to-4 membership breakdown, it is heavily weighted toward the majority, and the minority can often get angry and frustrated as majority lawmakers essentially fix the debate to their advantage. It often meets at odd hours and in rushed circumstances, exacerbating the partisan sniping. Both as chairwoman and the top member of the minority, Ms. Slaughter found ways to keep things on an even keel. Ms. Slaughter during a Rules Committee hearing in 2011. She remains the only woman to have led the committee. 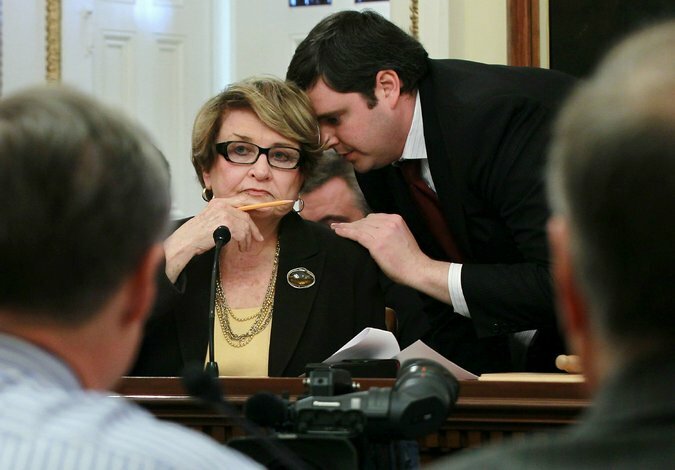 Perhaps Ms. Slaughter’s biggest moment in the limelight was during House machinations over the health care bill in 2010. The loss of a crucial 60th vote in the Senate with the death of Edward M. Kennedy had handcuffed House Democrats who had no choice but to pass a Senate bill with some provisions they didn’t like if they wanted to send a bill to the White House. To limit the political pain, Democrats cooked up an approach that would have essentially deemed the bill passed under what is known in Congress as a self-executing rule, allowing Democrats to avoid a direct vote on those objectionable provisions. Though Republicans had done the same thing in the past, they howled and mocked Ms. Slaughter with catchy phrases such as “Slaughter House Rules.” Democrats eventually came up with another approach, but Republicans continued to complain, leading the plain-spoken Ms. Slaughter to fire back that their convoluted dispute over procedure was just subterfuge. In recent years, one of her top priorities was an ethics measure intended to prevent lawmakers and other federal officials from profiting in the stock market from inside knowledge. This was one instance that cost her some friends in the House. Representative Chris Collins, a Republican from a neighboring New York district, described her to Fox News as a “despicable human being” after she complained to House ethics watchdogs about his efforts on behalf of a biotech company in which he owned stock. Ms. Slaughter, the oldest member of the House at her death, had been weighing re-election and was being encouraged to run again and perhaps regain her chairmanship should Democrats take back the House. Mr. McGovern said her energy and optimism remained high. Previous article Nancy Pelosi Wants to Lead. House Democratic Candidates Aren’t So Sure.